Tiffanie Peters is living proof of Nietzche’s adage that “what doesn’t kill you makes you stronger.” The fledgling fashion designer has been pulling all-nighters while preparing her new boutique, Chiffon, for its opening on July 29 during Spaceworks Tacoma’s Block Party. The new space, at 915 Pacific Ave., is cavernous – big enough to test the crew of Extreme Makeover. Fortunately, Peters only needs to paint the front portion, her display and sales area. Unfortunately, the color hasn’t been coming out the way it looked at Home Depot, and only now, after four laborious coats of paint and multiple trips to the hardware store, is it approaching the dreamy mix of greens she was after. And yet, she wears a broad smile. “My vision for Chiffon is to set it up kind of like a gallery space where the [clothing] will be displayed like works of art,” she says, sweeping a hand in front of a blank, sage-colored wall. Given her unique talent for both clothing and jewelry design – and, her superhuman endurance – Peters seems destined to fill an aching void in the downtown shopping area. 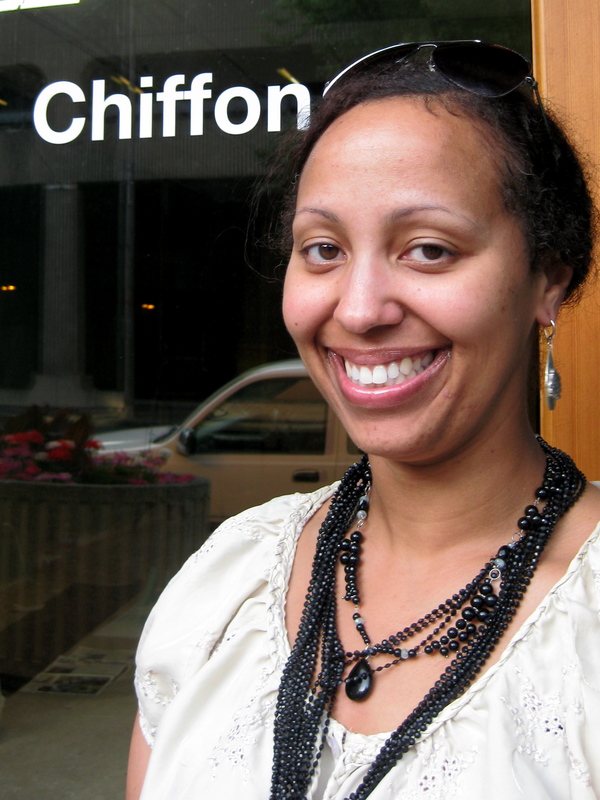 Chiffon is the designer’s’ first retail venture, supported by six months free rent from Colliers International donated through Spaceworks Tacoma. Peters describes her debut collection as one of “undone glamour,” strongly influenced by 1970’s style. Current favorite pieces include a high-waisted pencil skirt that she makes in a summer-weight woven blend, and a silken georgette cardigan that drapes in soft tiers down the back. She will also offer a delectable selection of vintage accessories, including Gucci and Fendi handbags. Price range for clothing, jewelry and accessories is $20-$300. 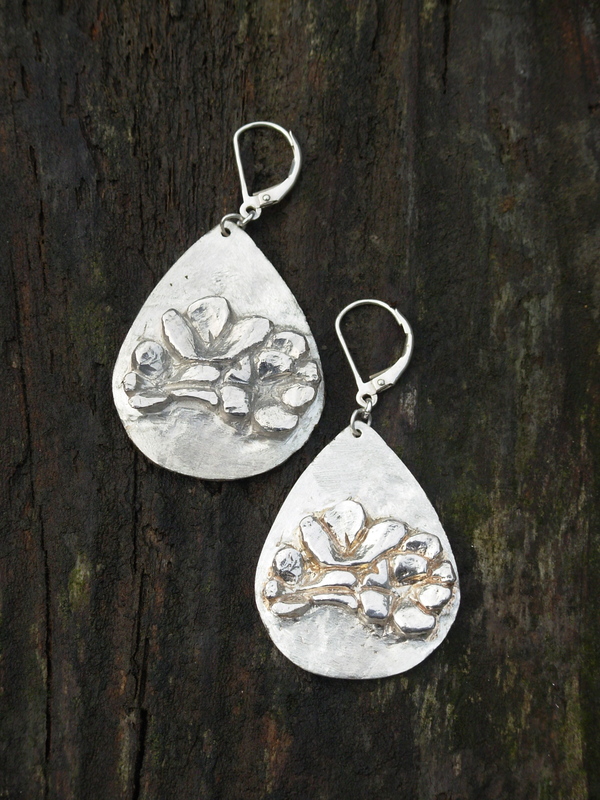 Peters’ jewelry combines sterling silver and gold-tone metals with unique gems: “The stones I choose are not perfect, which to me makes them more interesting.” Standout pieces include graceful, drop-shaped silver earrings cast in silver with an abstract botanical pattern, and a silver-bib necklace inspired by cherry blossom branches. 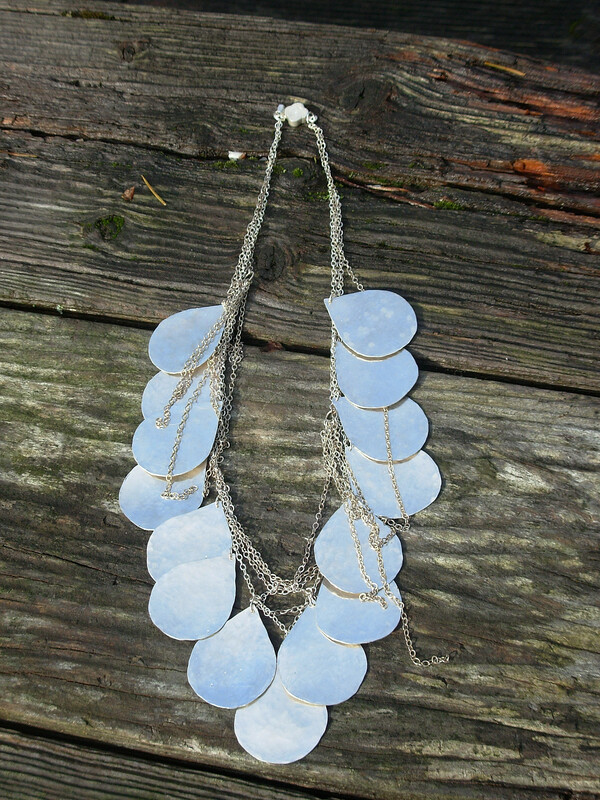 Both her jewelry and fashions can be made-to-order in custom colors and materials.